The Double Eagle gold coin is a big hunk of gold, with each coin containing almost a full ounce of pure gold. 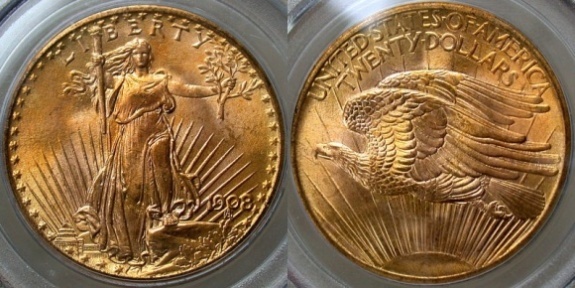 It was the largest circulating US gold coin and was produced from 1849 to 1933. 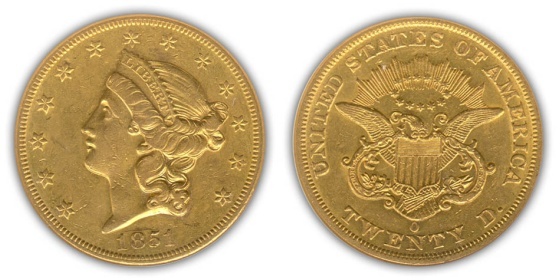 Information about the major designs of the Double Eagle gold coin is available below. with motto and TWENTY D.
Liberty once again found her image portrayed on a beautiful gold US coin with the Liberty Head or Coronet Double Eagle twenty dollar gold coin. With the rich strikes of gold in the California gold fields, there was finally enough gold available to make the 20 dollar gold coin a reality. For old or rare coins there would be an additional premium because of the numismatic value that is based on scarcity, quality, demand and intangible factors. above their gold value making them appealing to collectors. coins that are common in low grade but extremely rare in high grade.. 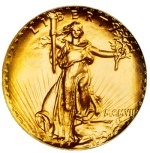 The Saint-Gaudens Double Eagle is a United States twenty dollar gold coin. It is considered by many collectors to be one of the most beautiful coins ever produced by the United States Mint. It was given its name because it was designed by Augustus Saint-Gaudens in 1907. For old or rare coins there would be an additional premium because of the numismatic value that is based on scarcity, quality, demand and intangible factors. above gold value. 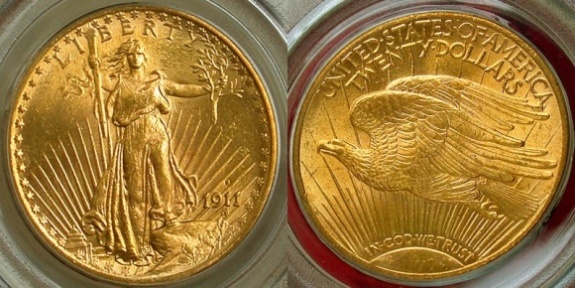 When other gold coins of the era were being recalled by the government and landing in the melting pot, many Saint-Gaudens Double Eagles were in storage in European banks. 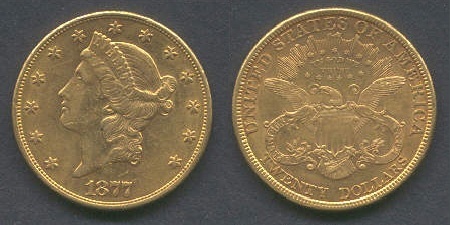 Many of these twenty dollar gold coins have made their way back to the United States over the years. There are rare dates of the Saint-Gaudens Double Eagle however, in spite of the fact that they were produced in high mintages.